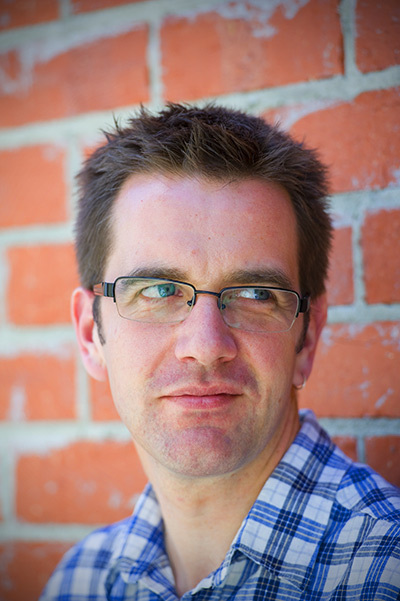 Tim Stevens was born in Swan Hill in 1971, and moved (with his family) to Melbourne in 1975. He commenced piano lessons at the age of eight, and was awarded the diploma Associate of Music, Australia, in 1988. After completing VCE in 1989 he began studying for the Bachelor’s degree in the Improvisation Department of the School of Music at the Victorian College of the Arts, taking piano lessons from Greg Gear and Mickey Tucker. After a rather tedious dalliance with the Diploma of Education he returned to the VCA to undertake the freshly minted Master of Music Performance degree (1995-6). Having dealt with that, he gave the Conservatorium of Music at the University of Melbourne a bit of a shock by fronting up to undertake doctoral research on Melbourne’s Red Onion Jazz Band. In 2000 he graduated with the Doctorate of Philosophy, and then moved to Sydney for a couple of years. During the late 1990s he was a member of the trio Browne – Haywood – Stevens, an ensemble that featured his original compositions and recorded two CDs, King, dude and dunce (Newmarket, 1995) and Sudden in a shaft of sunlight (ABC Jazz, 1998). The second of these was shortlisted for the 1999 ARIA Award (jazz division). While he lived in Sydney, Tim led a trio featuring Mark Lau (bass) and Simon Barker (drums) and this band recorded for Jim McLeod’s Jazztrack before touring to the major European festivals Pori Jazz (Finland) and Umbria Jazz (Italy) in 2001. He was awarded an Ian Potter Music Commission in 2001 and composed Four words of Elizabeth Hunter on text by Patrick White from The Eye of the Storm. This was performed at the Cup Eve Concert at the Wangaratta Festival of Jazz in 2002. On returning to Melbourne Tim formed his current trio with Ben Robertson (bass) and Dave Beck (drums). This band has released four albums, all on Rufus Records: Nine open questions (2004), Three friends in winter (2005), Mickets (2008) and Scare quotes (2011). The band plays a book of Tim’s compositions, and pursues collective improvisation alongside. Tim’s first solo piano recording Freehand was released on Rufus in 2002, and his second, Life’s undertow, also on Rufus, appeared in March 2012. Undertow was a consequence of Tim’s having won one of the 2011 APRA Professional Development Awards. During 2014 he performed both as a solo pianist and as the leader of a double trio in the Salon at the Melbourne Recital Centre. The latter performance premiered his collection of compositions with whom you can be who you are, for piano, double bass, drums, violin, viola and cello, and the former was the first delivery of the program that subsequently became his third solo CD, I’ll tell you later (Rufus Records, 2015). In the leap year of 2016 he challenged himself to compose a tune each day, and twelve of them appear on the Rufus CD, again solo piano, Media vita (RF128, 2017). This was one of two CDs released in 2017, the other one being a Christmas-themed sequel to I’ll tell you later, entitled I’ll tell you later in December (RF138).